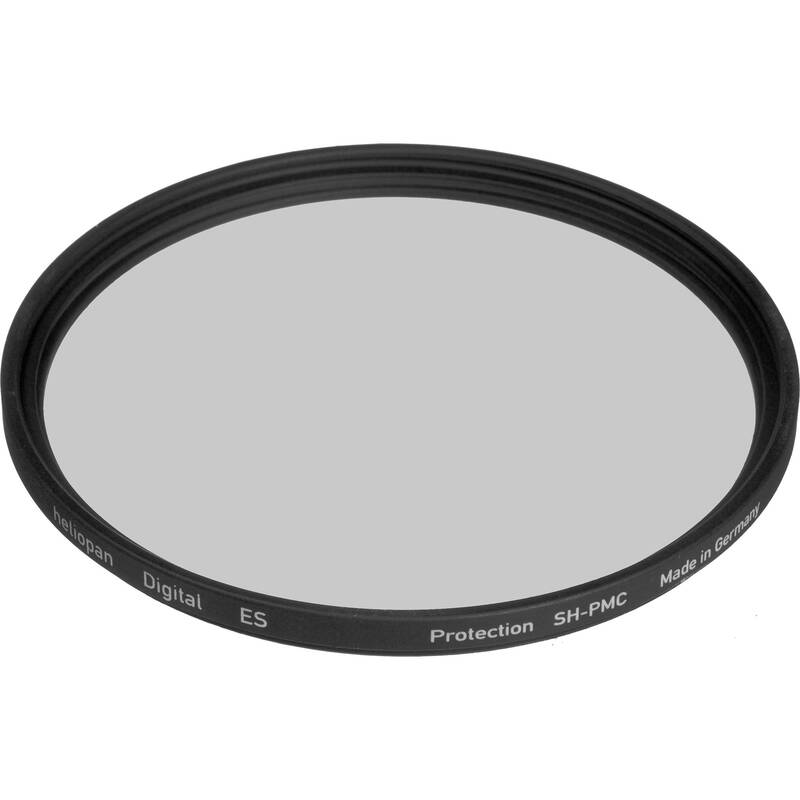 The Heliopan 62mm SH-PMC Protection Filter is a simple, clear filter designed for general protection to the front of your lens. This optically clear filter helps to reduce dust, scratches, moisture, and other elements from damaging your lens without affecting the overall image quality. SH-PMC multi-coating offers both protection to the glass and helps to improve light transmission and image quality. Dual threading with 62mm front filter threads permits combining with other filters. Box Dimensions (LxWxH) 2.8 x 2.7 x 0.6"